It’s fall y’all! I LOVE fall especially at the farmer’s market! I know all anyone can think about this month is pumpkin spice, but I’m over here dreaming about the yummy fruits and vegetables I’ll be able to buy at the farmer’s market in September. In my area farmer’s markets are in full swing in September and all of the farmers start pulling out all the stops to satisfy everyone’s pumpkin spice and apple cinnamon needs. I love the farmers market! But I’ve learned over the years that not everyone can navigate the farmer’s market as easily as others. Personally I think that shopping at the farmer’s market is a great experience as long as you go into it with the right expectations. 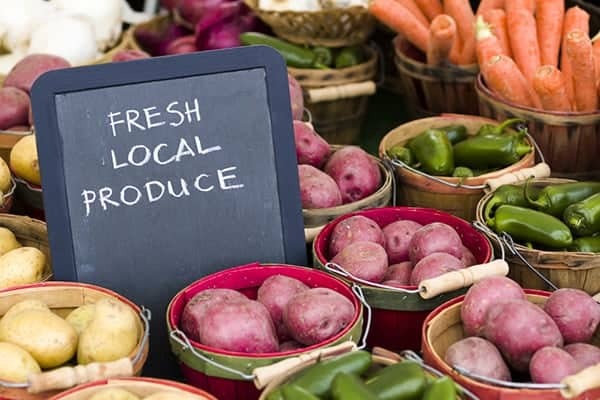 Here are a few things to know before you head out to your local farmers market. Your food will not look perfect! Many of us are used to the picture perfect produce we see at the grocery store. But most of the time the produce you pick up from the farmers market is not going to look perfect, and that’s ok! 2. You won’t find out of season produce. When you shop at the farmer’s market you have to get used to eating seasonally. So if you live somewhere with cold winters, you’re probably not going to find fresh corn in January. But the great thing about eating seasonally is that it allows you to try out produce you haven’t tried before that’s available locally in your area! 3. You food will taste amazing! Produce from the farmer’s market are typically picked when they are ripe because they don’t have to be shipped long distances. Because of this your food will taste amazing because it was picked at peak ripeness! Plus it’s fresher than produce you get from the grocery store, so it will taste so much better! I could keep raving about farmer’s market products all day, but let’s get started. Keep in mind that this is a general guide and it could vary based on where you live. If you want to know exactly what to look for at the farmer’s market in your area check out this website called The Seasonal Food Guide! So here are some products you should be looking for at your local farmer’s market in September! I love chives because they are such a good garnish for food! They add a super yummy flavor to any meal! I am so excited to get some fresh chives so that I can try out this recipe for Chive Biscuits! Ok so I’ll admit to being obsessed with salsa. I just can’t stop myself from eating it! And tomatillos make the best salsa! This recipe is for a classic salsa verde made with tomatillos! I’ve actually grown to love using sweet potatoes in my meals. I used to think sweet potatoes were disgusting, but now I’m really loving using sweet potatoes in soups like this one. Make sure you pick up some sweet potatoes at the farmer’s market this month! Onions are in season in September! I love having fresh onions, but they make my eyes water like crazy! It’s worth it though for the delicious flavor it adds to all of my meals! Growing up we had onions and garlic in EVERYTHING, so it’s definitely a cooking staple for me! Personally, I love to store fresh garlic that I get from the farmer’s market, so that I can eat it all year long! 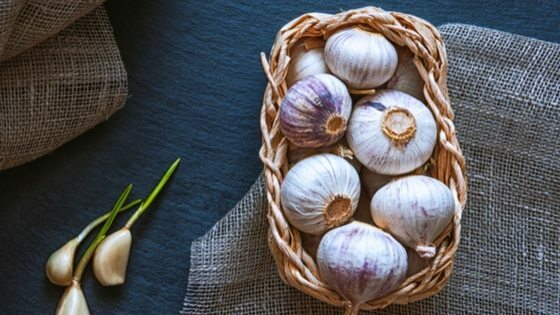 You can read my post about How To Store Garlic Long Term here! I’ve never had endive before, but I’ll definitely be looking for it in September at the farmer’s market so that I can try it out! I’m super excited to try this recipe for goat cheese stuffed endive! Celery is a classic snack for your kids and I love eating it too! It’s especially good when you get it from the local farmer’s market! Check out my favorite healthy snacks for kids for my favorite ways to make healthy eating fun (and delicious) for your kids! I am not a fan of brussels sprouts. But I know there are some people who love them (y’all are crazy because they’re nasty!). If you’re a brussels sprout lover look for some at your local farmer’s market in September! Grapes are also an amazing healthy snack! Locally grown grapes are AMAZING, so see if you can pick some up at your local farmer’s market. I have never tried radicchio before, but I’m so excited to find it at the farmer’s market! I love trying out new fruits and vegetables especially when I have fun, new recipes to try out like this one for radicchio risotto! 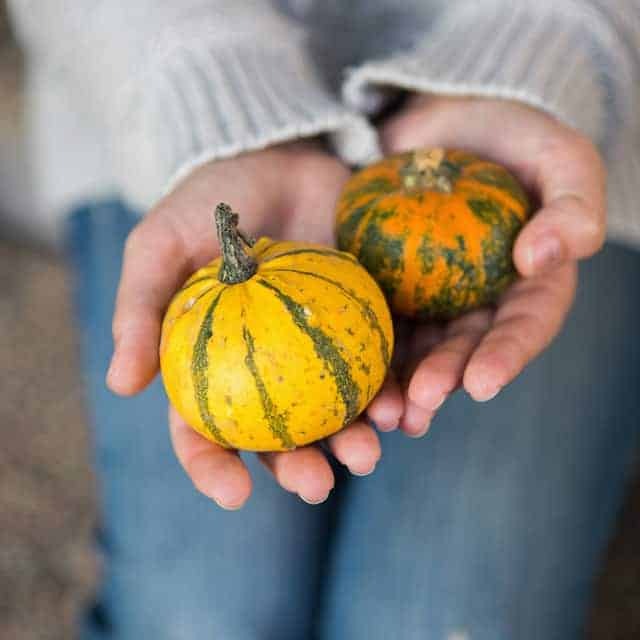 There are all kinds of varieties of winter squash that I find in my area starting in September. Spaghetti, acorn, and butternut squash seem to be the most popular around here, but keep an eye out for different kinds! 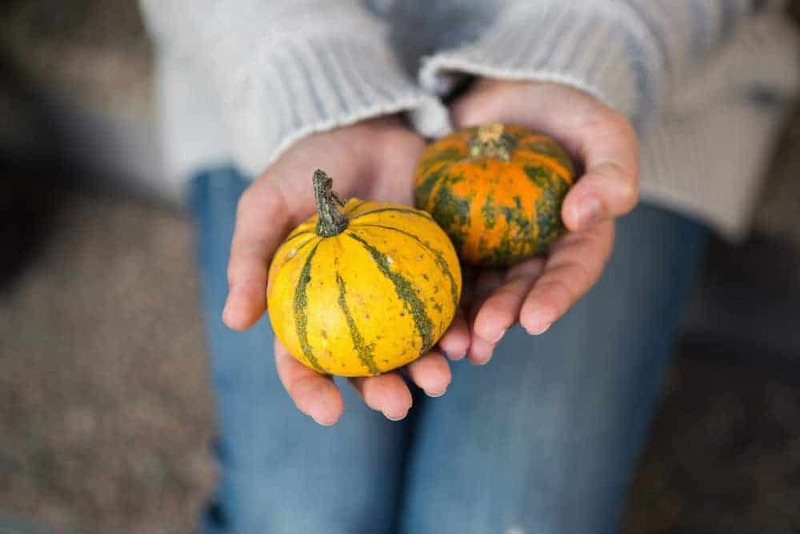 And don’t forget pumpkins are a winter squash too! Check out this yummy recipe for pumpkin bread! I eat a lot of potatoes, especially if they’re fresh potatoes!!! I eat mashed potatoes almost every week and I love to make these southern style mashed potatoes you make in your instant pot! I’ve said it before, but I love fresh apples! I always end up grabbing tons of apples when I go to the farmer’s market in September! Since I love apples so much, I’m always on the hunt for some good apple cider. In my area there is an amazing local company that makes AWESOME apple cider from their freshly grown apples. It’s not cheap (I’ve seen it as high as $8 a gallon) but I’m obsessed with it. I highly recommend that you look for local apple cider producers in September! It’s the perfect fall drink and it’s even better if it’s bought locally! What products are you excited to find at the farmer’s market this month? I’d love to hear about it in the comments below!